What's up party people? I'm back with another installment of the #TheLacquerRing. Today we've got some new faces joining us, so be sure to check out the link up below and welcome them! Our color prompt for this month is Silver. I really struggled with what to do. I usually like to add a little art, but I wanted to let the silver shine (pun intended), but then I came up with a cool trick. Let's check it out. 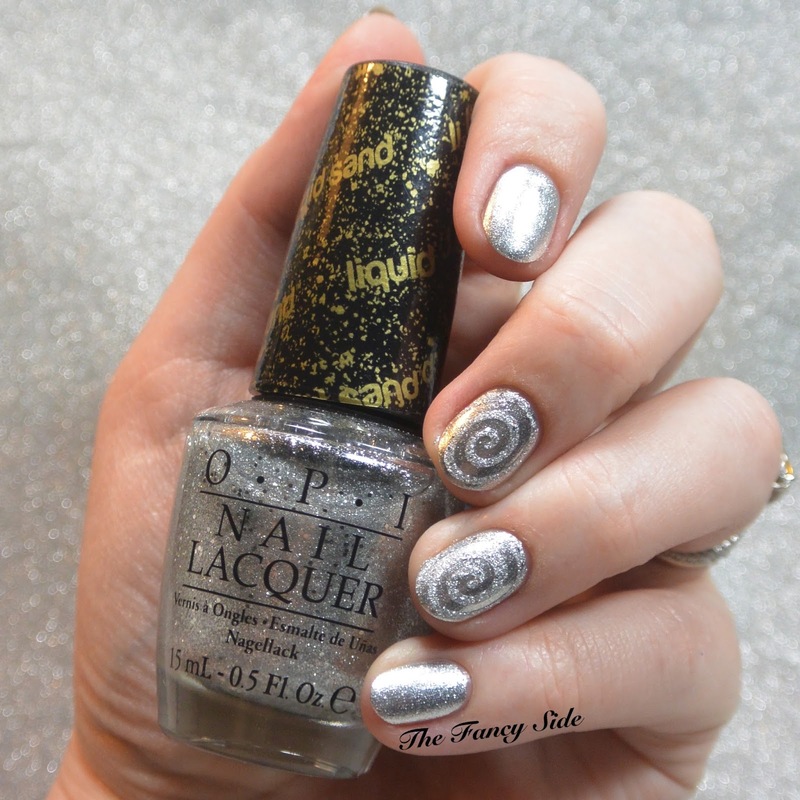 I started with a base of OPI My Signature is DC a bright silver foil filled with shimmer. I used two coats for full coverage and had no issues with application. I then went in with Twinkled T Cyclone Vinyls and OPI It's Frosty Outside a textured liquid sand finish to create some cool silver on silver 3D effects. That's it folks. I've really enjoyed wearing this mani for the last few days. Isn't it pretty? Like I said before, check out the other ladies participating in #TheLacquerRing below. Love the 3D effect! Awesome mani! This turned out so well! Now you need to do it so it looks like a cinnamon roll! I'm not a huge silver fan, but love them on others. That is such a beautiful combination!! This is so beautiful and delicate together! This turned out so pretty! The textured was such a great idea!